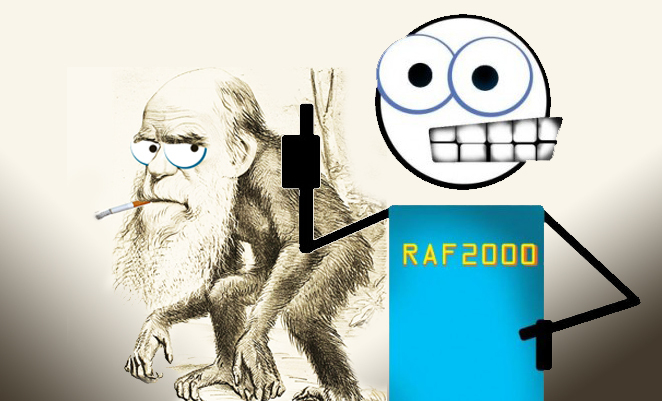 Creation Science/Evolution | Rent-A-Friend 2000's Biblical Thinking and Good Times! To learn all about Creation Science and the Epic Failures of Darwinian Evolution, check out CreationSoapbox! Creation refers to special creation by God as described in Genesis, and the soapbox is the place where I stand to explain how scripture, logic, and science all agree that God made the earth in six days, about 6,000 years ago. A soapbox provides a great view over the gathered crowd, and it keeps your feet clean! That’s a win-win! So why bother giving Uncle Chuck Darwin a hard time? Simple process of elimination. Either the universe, earth, and life all were made or they made themselves. Either they had an intelligent designer, or they have no designer. Either geology is a record of the Genesis Flood, or it can be explained without the flood. Either the Bible is true from the very first page, or it is not. When given two choices which disagree, one is right and the other is wrong. When I show how logic and science fail to support the Darwinian model, I am also showing how it supports the Biblical model. Or, when I show how logic and science support the Biblical model, I am showing how Uncle Chuck is simply wrong. It’s nothing personal, but when there are only two opposing options, one has to be wrong. It’s not my intention to make a monkey out of Uncle Chuck, even if it was his intention.